We all know the secret to losing weight, right? Eat less & exercise more. But unfortunately it’s not always quite so simple, but when you break it down into smaller mini goals it’s much easier to manage. Just like us many of our dogs are suffering from obesity. In the U.S. pet obesity has gotten to the point of being an epidemic with 50% of dogs & cats being overweight. Obesity leads to many health concerns, and it can ultimately end up shortening your dogs lifespan. 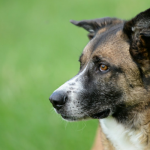 But there are a few simple tips that can help keep your dog fit and active. 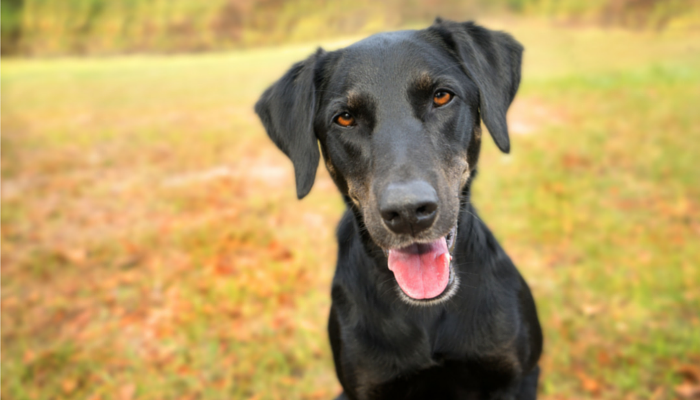 If your dog needs to lose a few pounds here’s 5 habits that will help keep your dog fit. I used to be by the book when it came to feeding Laika; but somewhere after her 1st birthday she started to get a little plump. Turns out just following the recommendations on the back of a food bag can lead to overfeeding. Since Laika isn’t a working dog she doesn’t need all those extra calories to keep her going all day. Throughout a dogs life they’ll probably require different amounts of food. Laika certainly needed more food to keep her going when she was a growing pup, but since she’s turned 1 we’ve decreased her food to a point where her weight is now consistent. Overall she eats about 15% less than what a bag of dog food recommends – but it works for her -my non working suburban dog. 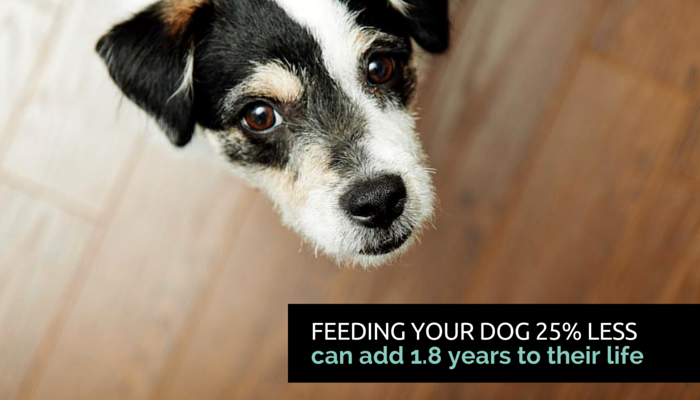 One study found that feeding your dog 25% less can lead to a longer lifespan, on average it extends a dog’s median lifespan by 1.8 years. Each dog food has it’s own recommendations on proportion sizes based on your dog’s weight. But there’s a problem with vagueness; some bags say to feed between 1/2 – 1 cup per 20 pounds – and that’s a 50% difference per meal. And if you have a 80 pound dog that’s anywhere from 2 – 4 cups which is quite a large difference in meal size. Consult your veterinarian if you have any concerns about making a change to your dogs diet. 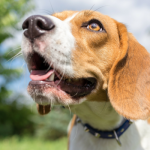 They can help you come up with a plan that’s right for your dog. “His eyes were bigger than his belly.” If you’ve ever heard that before you’re probably familiar with how easy it is for us to take more than we can handle. It’s easy to over estimate our measuring skills. And as humans something as simple as the color of our plating can influence the amount of food we eat. When it comes to estimating food portions just eye balling it isn’t very accurate. An extra ounce a day might not seem like much, but over a year it comes out to 45 cups. Keep track of your dogs diet by measuring all of their meals with a measuring cup or scale. The daily dog walk is more than just a way to get some exercise, it’s often the only chance your dog has each day to go out and explore. It’s such an important part of our dogs day, yet only 60% of us taking our dogs for a walk each day. Remind myself how much meaning the walk has for my dog (physically & mentally). Remember that the physical activity is great for the both of us. Use it as an opportunity to get in some training such as impulse control or loose leash walking. Make it exciting by exploring new trails. Invite a friend or family member to join us. It would we great if we all lived right by the beach or had access to a full agility course for our dogs, but many of us don’t so we have to improvise a bit. But luckily our dogs aren’t that picky when it comes to play. My dog loves it when I blow bubbles for her, and if it were up to her she’d happily do that for hours. It’s one of the easiest ways to get some exercise in for my dog, and there’s very little effort involved on my part. And it’s not just bubbles, to keep my dog entertained & active we play a lot of indoor games. We do some nose work, play tug of war, hide the treats and use a variety of interactive treat dispensers and puzzle toys. Don’t underestimate the importance of play. It reduces stress, creates a strong bond and gives your dog meaningful interaction. And best of all it’s a way to give your dog their daily exercise, even on those rainy days. Confession time: I don’t have any dog treats in my cupboard. On occasion I’ll make some yummy peanut butter treats for Laika if we’re training or working on something new. And I am a big fan of stuffing Kongs with something tasty, but most days she doesn’t get any snacks at all. Rather than buying treats from the store I use a lot of fruits & veggies as rewards when training. They’re great because they’re low in calories, and they’re something I’ve already got on hand. I think of dog treats like I do desserts. They’re a nice bonus, but not something we need to have everyday. If your dog needs to lose a few pounds one of the easiest ways to cut calories is to skip out on all those extra snacks. Food does not equal love. How Do You Keep Your Dog Fit? 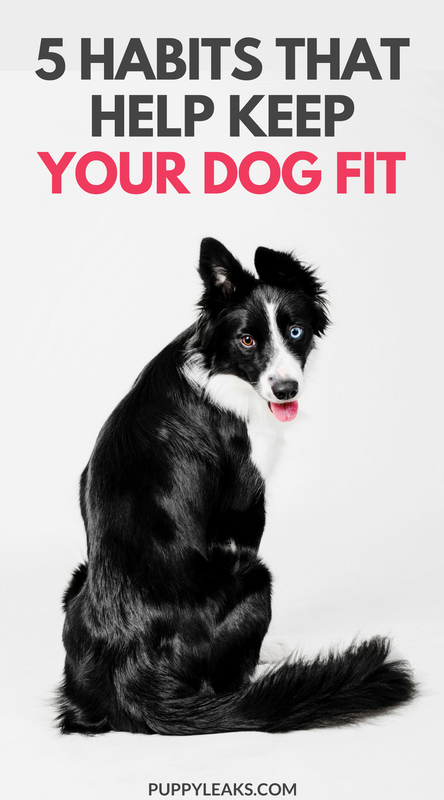 How to you keep your dog fit? Do you walk your dog everyday? Do you measure out their food? Have you ever had to cut down on your dogs food portions? We live on 5 acres and try and take advantage of that space every day by hanging outside with our dogs. They love it. I also add green beans to our dogs’ meals when I want them to feel full. This has helped Sydney with weight loss this past year. She’s lost more than 10 pounds. I tried cutting down dry kibbles but I didn’t see results so about a year ago I decided to give dehydrate food a try and I followed the feeding suggestion on the label. It was a success. One of my Yorkies’ weight went down a full pound in a month with minimum exercise (he has collapsed trachea). Now Sam is a happy senior who weights 7 lbs. His vet was so proud! I do agree about treats. Most people forgot to count those calories. I stopped giving out treats when Sam was on diet. He was in a habit of begging for treat so I gave him small pieces of fruits and vegetables instead of baked treats. These days I stop buying treats and once a while I will toss a piece of strawberry or cucumber or whatever I cook for that day to my dogs. They seem to love it. Here is Sam after loosing his extra pounds! A cold carrot is probably good for teething in puppies too! I would rater have a puppy chew on vegetable than a plastic teething toy. Very useful tips. I’m measuring every meal for my lab. 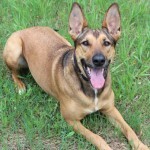 Dog snacks and treats are something that we avoid and fruits and vegetables are something that she really likes. Honey has always been quite fit. Except recently my husband has been sharing more of his food with her (ugh, bad for training and bad for her waistline). I’ve suggested he take a portion of her kibble and put it aside to toss to her when she’s sitting quietly away from him. That will reinforce no more begging and by using her regular food, he’ll be able to “treat” her without adding to the calories. Unfortunately, I really feel it when Honey gains a few pounds since I have to lift her in and out of the boat several times a day. Good post. We have a pretty set routine with walks and runs first thing every morning before we eat. Our food is always measured and we never feed what the package says as it is always too much. We have our play times in the yard midday short walk, evening medium walk, healthy treats only and not a whole lot of them. It keeps Mom healthy and fit as well as us dogs! Nice common sense article, so many people focus on more and more exercise while still overfeeding. Food is the key! We measure all of Piper’s food for the day – including what she gets in training. I had an overweight dog as a child, so I’ve always been careful about what my girl eats. We also take her to the dog park or out on a walk for at least an hour a day, more to help with her behavior when she’s alone. Unfortunately I haven’t found any fruits or vegetables that she really likes for training! Little bits of chicken or devon, a type of processed ham, are what she loves. Or a game of tug.